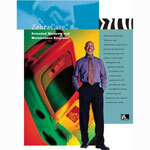 It is replaced by the Zebra ZT510. The 105SL combines enhanced memory, processing capacity, and features with rugged and reliable all-metal construction. Proven platform longevity plus fast processing and print speed make it the choice of experienced users who value reliability, productivity, consistent print quality, network compatibility, and superior service and support. The 105SL offers flexible connectivity solutions including ZebraNet Wireless Print Server for 802.11b wireless connectivity that frees you to move or reconfigure the printer without costly recabling, plus ZebraNet 10/100 Print Server, which offers a complete wired solution for the 105SL when using 10Base-T, 100Base-TX, and fast Ethernet 10/100 auto-switching networks. And with the new ZebraNet Bridge, gain the efficiency of centralized printer management. 105SL Plus, Thermal transfer printing, 300 dpi, 4" print width, Ethernet 10/100, Wi-Fi (802.11b/g), USB, Parallel, Serial (RS-232) Interfaces. Includes US power supply. Cables sold separately. 105SL Plus, standard features include 4" print width, 300 dpi, tear bar, Rewind with Peel, RS- 232 serial, USB 2.0, Centronics parallel, internal ZebraNet 10/100 print server, 8MB FLASH memory, 16 MB SDRAM, ZPL II, XML, North America power cord. 105SL Plus, Thermal transfer printing, 203 dpi, 4" print width, Ethernet 10/100, Wi-Fi (802.11b/g), USB, Parallel, Serial (RS-232) Interfaces. Includes US power supply. Cables sold separately. 105SL Plus, Thermal transfer printing, 203 dpi, 4" print width, Ethernet 10/100, USB, Parallel, Serial (RS-232) Interfaces, Cutter. Includes US power supply. Cables sold separately. 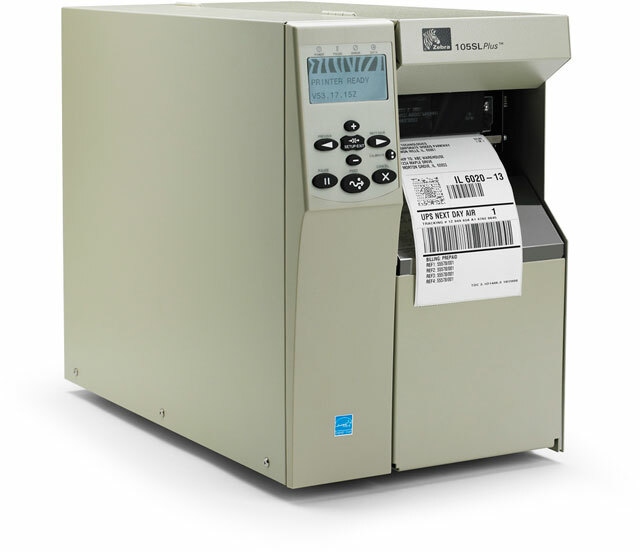 105SL Plus, Industrial thermal transfer barcode printer, 300 DPI, 4" print width, Includes:tear bar, rewinder and peeler, Interface Options: serial, USB, Parallel, internal ZebraNet 10/100 print server, Emulations: ZPL II, XML, Includes North America power cord. 105SL Plus, Thermal transfer printing, 300 dpi, 4" print width, RS-232/Parallel/USB/Ethernet/Wi-Fi (802.11a/b/g) interfaces, North American power cord, 64MB Flash Memory. Does not include necessary interface cables. 105SL Plus, Thermal transfer printing, 300 dpi, 4" print width, Ethernet 10/100, USB, Parallel, Serial (RS-232) Interfaces, Rewinder with Peeler, 64MB Flash. Includes US power supply. Cables sold separately. 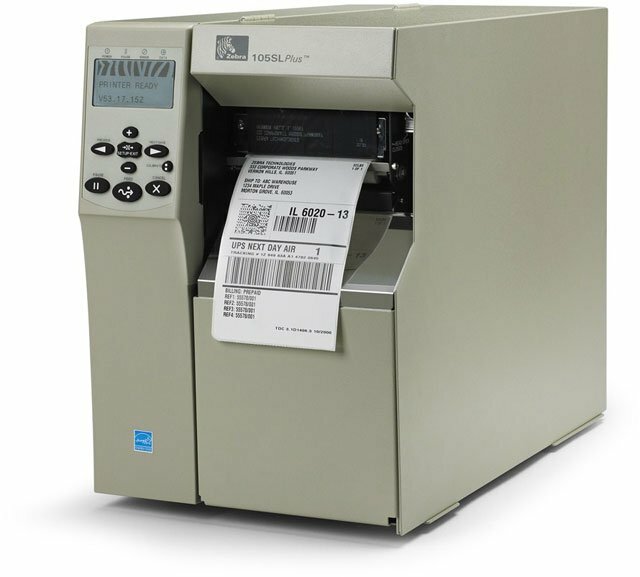 105SL Plus, Industrial thermal transfer barcode printer, 300 dpi, 4" print width, tear bar, Interface Options: serial, USB, Parallel, internal ZebraNet 10/100 print server, Emulations: ZPL II, XML, Includes North America power cord. 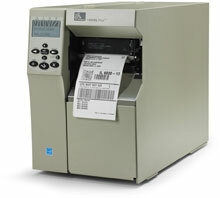 105SL Plus, Thermal transfer printing, 300 dpi, 4" print width, Ethernet 10/100, USB, Parallel, Serial (RS-232) Interfaces. Includes US power supply. Cables sold separately. 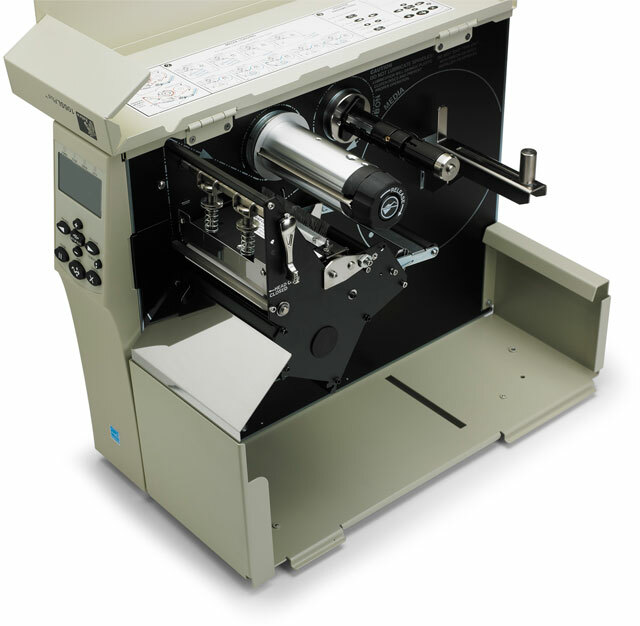 This is the TAA compliant version of printer (Part# 103-801-00000) for government purchasers. Please call for more information. 105SL Plus, Thermal transfer printing, 203 dpi, 4" print width, Ethernet 10/100, Wi-Fi (802.11b/g), USB, Parallel, Serial (RS-232) Interfaces, Rewinder with Peeler. Includes US power supply. Cables sold separately. 105SL Plus, Thermal transfer printing, 203 dpi, 4" print width, Ethernet 10/100, USB, Parallel, Serial (RS-232) Interfaces, Rewinder with Peeler, 64MB Flash. Includes US power supply. Cables sold separately. 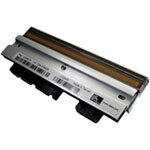 105SL Plus, Thermal transfer printing, 203 dpi, 4" print width, Ethernet 10/100, USB, Parallel, Serial (RS-232) Interfaces. Includes US power supply. Cables sold separately. 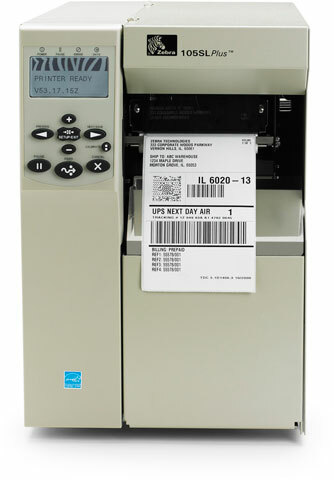 This is the TAA compliant version of printer (Part# 102-801-00000) for government purchasers. Please call for more information. The 105SL Plus offers the ruggedness and reliability of the popular 105SL Plus with significantly enhanced capabilities. Based on a proven platform, the 105SL Plus incorporates enhanced memory and processing capacity combined with cutting-edge connectivity that make it the choice of experienced users.